MAGGIE – IL TESORO DI SESHAT, is a fantastic free and downloadable educational app for mobile devices (Android and iOs), the idea of SI Club Firenze, (Florence), and members Enrica Ficai Veltroni, and Caterina Primi. Aiming to promote gender equality in STEM disciplines and to train primary school children in logical-mathematical thinking. Support was given by 49 Italian Clubs and SI d’Italia, together with scientific consultancy provided by Mathematics Professor from Pisa University (Pietro Di Martino), and the professional help of Studio Evil Srl, in the development and release of this wonderful and inspired game. The app is a puzzle math adventure game in Italian and English. The main character, a girl called Maggie (remembering the Italian scientist Margherita Hack), is a young explorer searching for the treasure of the ancient Egyptian goddess of mathematics and writing, Seshat. Boys and girls can play Maggie’s role and in her quest, Maggie has to solve 20 puzzles (enigmas), based on 5 mathematical themes, each of them proposed in 4 growing levels of complexity. Through a mechanism of reward and customizing, children are urged to put their manual and problem-solving skills into play. Five characters, 15 locations, 25 items to collect make the app varied, compelling and fun. Maggie-Il Tesoro di Seshat was launched in Florence on September 29th, 2018, with the Soroptimist workshop ‘Learning maths by playing’ for primary school teachers and is now available online. Most of the partner Clubs promoted the app in their area. 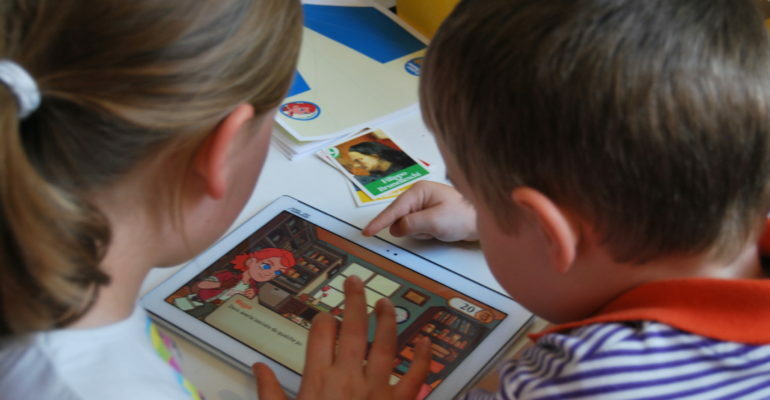 The app has been downloaded by more than 5,200 people, and has had very good reviews (4.7 stars), and its puzzles are now being used during mathematics lessons by some primary school teachers. The Italian schoolbooks Editor, Giunti Scuola, will suggest its download via the 2019-20 primary school textbook (3-4-5 grade), reaching about 50.000 children. Having gathered extra funds, SI Florence and Italy are now producing a brief new Maggie’s adventure dealing with a new mathematical theme and a digital guide book for teachers to help them with a more involving method of teaching maths starting from Maggie’ puzzles. The app is now on the MIUR (Italian Ministry of Education) site noisiamopari.it and on january 30th 2019 it has been presented with a press conference at the Chamber of Deputies in Rome. 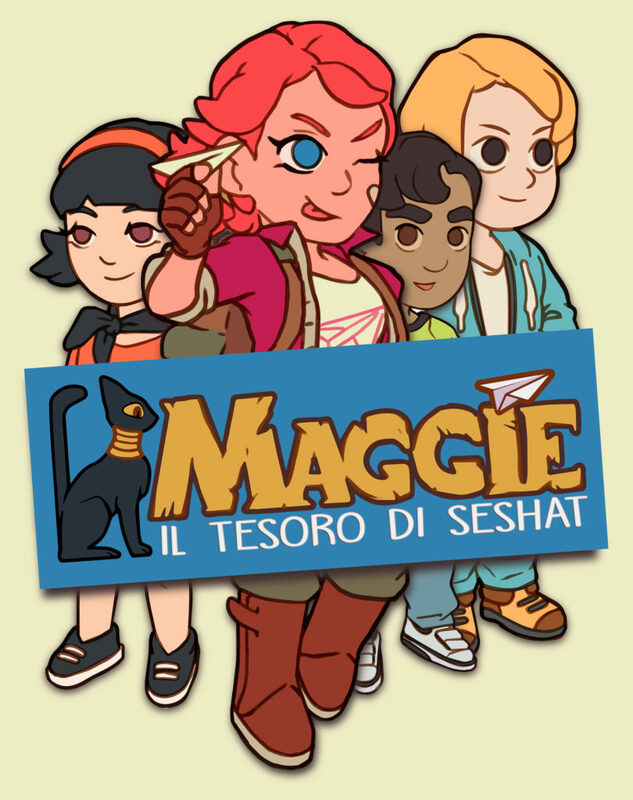 The link to the trailer of the app Maggie-Il Tesoro di Seshat in English can be found HERE.